Lawyer.com - Your Workers' Compensation Claim Denied - What Next? Your Workers' Compensation Claim Denied - What Next? Summary: If your workers' compensation claim is denied, it is important to understand how to file an appeal. Most employees in the state of Missouri are covered under the workers’ compensation system for injuries and illnesses that are directly work-related. The workers’ compensation system provides for compensation for medical expenses and wage loss caused by injuries sustained at work and illnesses that are related to workplace conditions. It is a no-fault system and provides coverage to covered workers only. If you have sustained a work-related injury or illness, the first step is to file your claim with the Division of Workers’ Compensation. If your claim is accepted and approved, you will start to receive your compensation benefits. Missouri workers' compensation attorneys inform us that in many cases, valid compensation claims are rejected. Most people think of this as the end of the road and do not pursue it further. In the event your compensation claim is denied, you may file for appeal against the denial. Before you file for an appeal, you must read the notice thoroughly to know the reason for denial and discuss your case with an experienced Missouri worker’s compensation attorney who can guide you through the process. The following information will be relevant to your case and you can file your appeal accordingly. The Grounds for Denial - The compensation denial notice provides the reason why your claim has been denied. Some of the common reasons for denial are – incomplete application or inadequate information, employer is not required to provide compensation coverage, you have not obtained coverage or you are not a covered worker, the injury or illness is not work-related, or the injury was caused due to intoxication. Employer Provides Coverage - The general rule states that all employers who employ more than five employees are required to provide workers’ compensation coverage. Employers who are not required to provide coverage may purchase coverage if they wish to. Covered Worker - Missouri workers’ compensation laws cover most employees. However, there are certain workers which are not covered by workers’ compensation. These are – domestic servants, real-estate agents, commercial carrier owners and operators, independent contractors, and workers covered under some other compensation system like the federal system. Injury is Work-Related - Injuries sustained at workplace and illnesses contracted due to the workplace conditions are covered under the Missouri workers’ compensation system. Conditions which have pre-existed are not covered; however, if a pre-existing condition has worsened due to workplace conditions, you will be eligible to receive compensation benefits. Accidents that happen while traveling to and from from work are not covered but this clause may have some exceptions. Time Limit - The Missouri workers’ compensation system has a statute of limitations of two years. 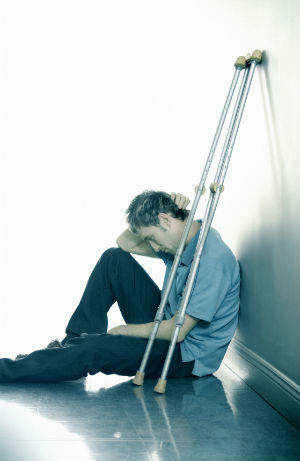 Therefore, all compensation claim cases should be filed within this period after the injury. Claims filed after this period will be denied. The Next Step - When you file an appeal, you are informing the Dispute Management Unit of the Compensation Division that you disagree with the denial of your claim. At this stage it is advisable to consult with an experienced Missouri workers' compensation attorney to represent you so that your rights are protected. Call The Law Office of James M. Hoffmann at (314) 361-4300 for a free consultation.